This is essential, especially for those riding two-wheelers. A good head-gear, vest, gloves and other safety gears not only makes the ride safe but also saves you in case of any sudden misfortune. If you’ve ever bought a vehicle you would realize that because of the sheer variety of automobiles to choose from, most people tend to neglect or forget about purchasing a good riding gear with it. This is essential, especially for those riding two-wheelers. A good head-gear, vest, gloves and other safety gears not only makes the ride safe but also saves you in case of any sudden misfortune. Something similar happens with insurance as well. 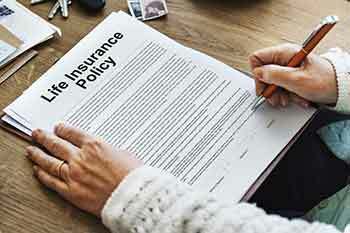 People choose term insurance with great difficulty after weighing all its pros and cons with other types of insurance, however, forget completely about the riders. Riders are usually additional protection covers that you can add to your normal, no-frills insurance and enjoy the benefit without any hassles. Here’s a list of some of the riders that you can avail on a Term Insurance and how it can help you make your plan better. Insurance is a necessity and you might have taken one too. Now, since it provides you security, it would require you to pay something in return as well. This amount is called as ‘premium’ where you contribute in small amounts towards a bigger sum that the insurance company returns at the time of the maturity of the plan. You decided the premium amount based on your current employment and salary but what if you, unfortunately, lose your job? In worst case scenario, what if your new job pays you just enough to make ends meet? How would you pay your premiums then? That’s when this rider comes into thepicture. It could waiver your premium for a while so that you are not at aloss when such situations arise. Needless to say, your insurance cover also stays active and you don’t suffer any loss. Illness usually doesn't come with a warning. And this goes true, especially for critical illnesses. Whenever people are diagnosed with critical illnesses, they tend to spend all their savings on helping them cure. At such times, Critical Illness rider would help cover the cost of that critical illness which might be an exception in your health insurance too. The rider allows you to obtain a lump sum amount with which you can then cover your costs needed for the treatment. If the person insured passes away in an accident; the nominee is entitled to an additional sum assured, however, the amount is calculated based on the actual sum amount. This assures an additional sum to your dependents apart from the usual assured sum amount. This is useful especially for those working under risky conditions as it provides additional help to your family when they need it the most. There are times when there’s an accident and the person dies on the spot. Within a fraction of a second, their family loses everything. Similarly, not all people who are able to make it to the hospital can be saved because of the delay or other medical circumstances. At such times, the loss is not just emotional but also financial. The cost of the treatments and medical expenses might weigh down the family in debt. However, if the person had an Accelerated Death rider, it could help the family get a certain part of the sum assured in advance in the form of compensation for their loss. They could then use this for covering the medical expenses and other charges. If a person is the sole earning member of the family and something happens to them, the survival of the remaining family would be difficult. In such situations, Income Benefit rider helps the family with a fixed income for a period of 5 to 10 years along with the sum assured. This rider might raise the cost of your premium but would secure the future of your family in your absence. While you might not have a control on what can happen to you, you can certainly have a control on how your loved ones live if something happens. Choosing the right riders would help you get the benefits of different plans in one without as much the cost of others. So, check with your insurer about riders and add them to your plan today.